The autumn rains have arrived hard, lashing the trees. Fog is making the mornings muted, shadowy and inward. Evening arrives earlier and earlier. The coming dark is a time for shifting, for gathering, for listening. Sometimes now I hear voices in the wind, people talking to each other. Words like dreams. In this way we arrive at “thin places” where the boundary between the physical world and the spiritual world is most porous and profound. This is the space of poetry. 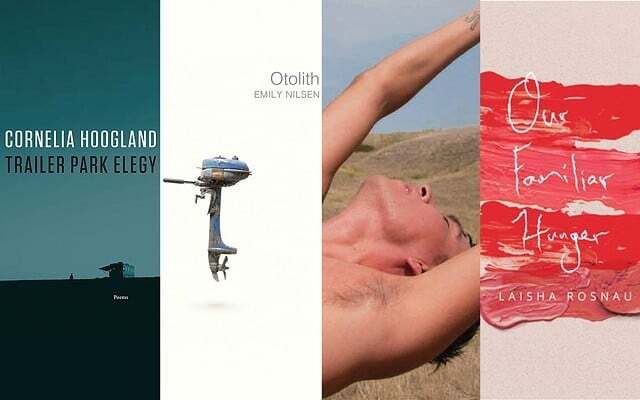 At this year’s Whistler Writers Festival, we are celebrating the poetry of four bold, talented, and award-winning Canadian poets who will invite us to get lost, bear witness, and fall awake. Billy-Ray Belcourt’s This Wound is a World is a collection of fierce poems that push against frontiers. He is not just story telling, he is taking us to a deeper place. A world we might want to live in. Out of hardness there is beauty. In Cornelia Hoogland’s Trailer Park Elegy there is loss, tragedy, and somehow there is grace. Poet Laisha Rosnau, amongst her many occupations, is the caretaker of the Bishop Wild Bird Sanctuary in Cold Stream, B.C. In her collection, Our Familiar Hunger, she explores the strength of generations of women, both the political and the personal. These are poems that move through, that disturb and upend you, as though the actual wildness of the wind has passed you. Mary MacDonald will be moderating the reading event, Poetry—Thin Places where Belcourt, Hoogland, Nilsen and Rosnau will be speaking on Saturday, Oct. 13 at 11:30 a.m. at this year’s Whistler Writers Festival. Tickets are available at whistlerwritersfest.com. Mary MacDonald is a poet, writer, and member of the Whistler writing group, The Vicious Circle.